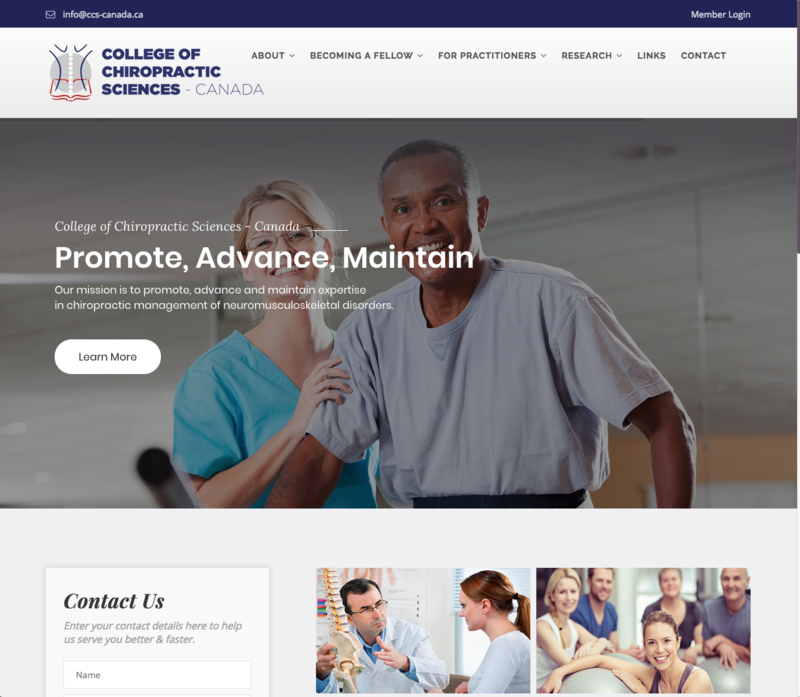 College of Chiropractic Sciences Canada exists to promote, advance and maintain expertise in chiropractic management of neuromusculoskeletal disorders. To qualify and certify clinical specialists in chiropractic. This association required a website to promote themselves as well act as a members only hub for their fellows.